Brett Foster (1973—2015) is the author of the poetry collection The Garbage Eater (2011), and the chapbook Fall Run Road (2012). It was discovered last year that he had colon cancer. He passed away last Monday at his home in Wheaton, Illinois where he lived with his wife and two children. 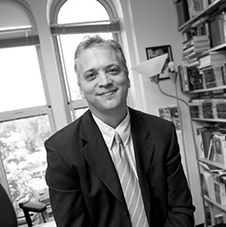 He served as Associate Professor of English at Wheaton College. On a personal note, Brett assisted me with the editing of my most recent poetry book. He also introduced me to N.T. Wright's excellent book on the Psalms, when we were hanging out together at the Festival of Faith and Writing in Michigan last year. The best way to honour him, is to share some of his fine poetry. Of the following poems, the first recently appeared in Books & Culture, and the second in the most-recent issue of Image. for rebuilding spirit, new, tender, and quick. his garment hemmed with pomegranates, golden bells.